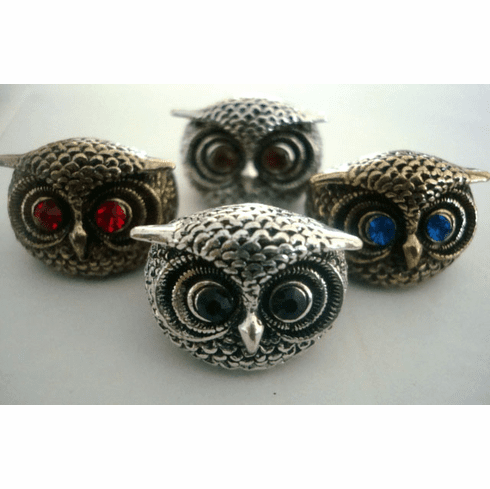 Please list what color eyes you would like at checkout from 1st to 2nd choice (red, blue, purple, amber) Gorgeous heavy weight owl ring comes in gold tone or silver tone. Sold elsewhere for 5 times the price. Makes a great gift and statement piece.